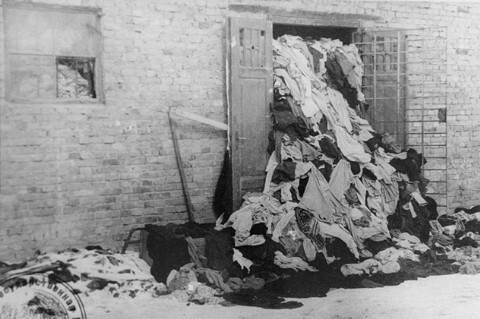 One of many warehouses at Auschwitz in which the Germans stored clothing belonging taken from victims of the camp. This photograph was taken after the liberation of the camp. Auschwitz, Poland, after January 1945.